(May 15, 2015) More than 3,300 hot rods, custom cars and classics from 1976 or earlier will be riding down Coastal Highway this weekend for the 25th annual Cruisin’ Ocean City. The event, which started Thursday and continues through Sunday at the Roland E. Powell Convention Center on 40th Street and downtown at the inlet parking lot, draws thousands of spectators over the course of four days. 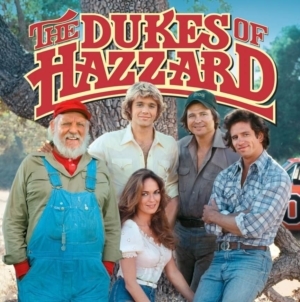 Highlights of the 25th anniversary weekend include an appearance from Tom Wopat or better known as “Luke Duke” from the classic television show “Dukes of Hazard.” He will be in the convention center’s ballroom on Friday from 11 a.m. to 4 p.m.; at the inlet on Saturday during the same hours and Sunday at the inlet from 11 a.m. to 1 p.m. to pose for photos and meet fans. In addition, Gas Monkey Garage’s own Christie Brimberry, from the television show “Fast N’ Loud” will be on hand to sign autographs, greet fans and discuss the fun at Gas Monkey Garage. Visit Brimberry at the inlet on Friday from 11 a.m. to 4 p.m. and in the convention center’s ballroom on Saturday during the same hours. Another favorite of annual Cruisin’ participants is the Boardwalk parades, which take place Friday and Saturday at 8 a.m. starting at North Division Street and proceeding south to the inlet. Other features of the 25th annual Cruisin’ event in Ocean City include the Express Auctioneer’s Hot Rod & Custom Car Auction, which will kicked off on Thursday and includes anywhere from 75 to 85 cars, such as a 1923 Model T Ford pick-up truck that was used as a rum runner in the HBO series, “Boardwalk Empire,” said auctioneer Larry Makowski. An auction preview begins at 9 a.m. Friday, with a live auction at 10 a.m. in the convention center. On Saturday, there will be a car collectables auction at 10 a.m. with the preview taking place an hour prior in the performing arts center. In addition, an exotic and specialty car auction begins at 2 p.m. in Dockside Hall featuring a high-end Mercedes from the 2000s, Makowski added. Bidders can register onsite before the event, online at www.occollectorcars.com or call 410-243-9999 to participate. Top national companies will be showcasing their products at the manufacturer’s midway in the inlet parking lot throughout this weekend’s festivities. 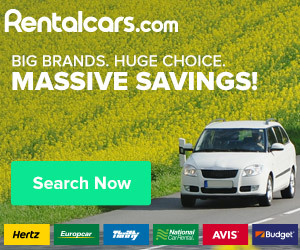 Look for companies such as Chevy Performance, Miller Electric Welding, Tremec, Summit Racing, State Farm, Holley Performance, Eagle One, Meguiar’s Car Care and K&N Filters among others. At the convention center, vendors will be selling automotive merchandise alongside arts, crafts, jewelry, T-shirts and other specialty items. There will be close to 100 vendors inside and outside both venues, Herbert said. Cruisin’ will feature live music all weekend in both locations and games such as free bingo and trivia inside the convention center ballroom. There will be prizes given away including coolers, beach chairs, hats, T-shirts, fuzzy dice, gift cards and sunglasses, Herbert said. A 25th anniversary celebration will take place a few minutes prior to the Grand Finale Awards ceremony, which begins at 2 p.m. at the inlet on Sunday. Participants who have attended all 25 years will be honored and a giant hot rod cake, cupcakes and door prizes including televisions, iPads and cash will be available, she added. Awards will be presented daily with the Grand Finale Awards honoring sponsors and top awards. There will be more than 500 trophies, plaques and awards handed out before the weekend comes to a close, Herbert said. On Saturday night, the 28th Street Pit & Pub will host a Cruisin’ pin-up contest at 8 p.m. Attendees are asked to dress up in their best pin-up gear or cheer on contestants. There will be many giveaways with cash and trophies awarded to contest winners. Friday and Saturday admission cost is $15 and $10 on Sunday. A four-day pass costs $35. Children under 14 get in free with an adult and passes are good at both locations. The event runs from 9 a.m. to 5 p.m. Friday and Saturday and 9 a.m. to 3 p.m. on Sunday at the 40th Street convention center and downtown at the inlet. For more information and a schedule of events, visit www.cruisinoceancity.com. Also, check out Berlin’s Spring Cruisers event, which will take place on Main Street Saturday, May 16, from 10 a.m. to 2 p.m. Registration runs from 7-10 a.m. with a cost of $10 per vehicle. The event is a smaller version of OC Cruisin’ with hundreds of cars parked along the street in downtown Berlin. 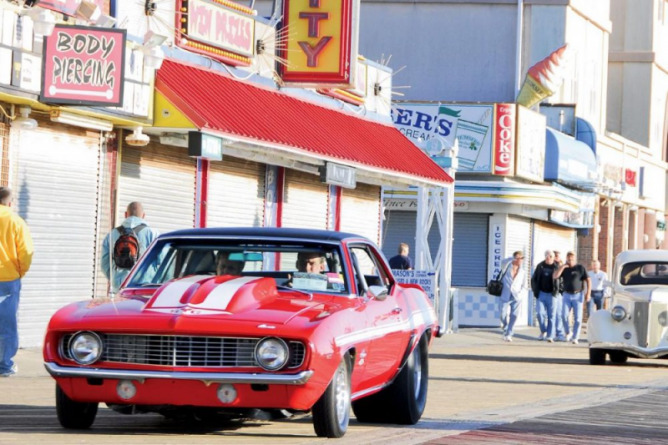 Judges will rank the different vehicles based on the same standards as they do in Ocean City’s Cruisin’ awards. Trophies will be handed out at 2 p.m. to winners, chairperson Tanja Giles said. “Berlin offers a great family oriented location for a fun day to see these classic cars up close. Streets are closed for this event and as such makes an enjoyable day to visit local shops and restaurants and take in all that one of America’s Coolest Small Towns has to offer,” Giles said. For more information, call 410-641-4775 or visit www.berlinchamber.org/events/cruisers-2013-05-18. Baltimore Boxing presents Beatdown at the Beach, Sat.